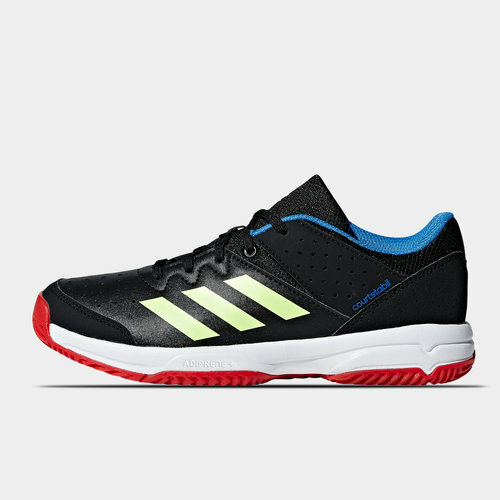 Play without any fear or limitations in these adidas Court Stabil Kids Indoor Trainers in a Core Black, Hi Res Yellow and Active Red colourway. These indoor trainers will help you polish and perfect your court skills. The mesh upper includes reinforcement for the areas most at risk of abrasion from foot drags. The lightweight sock liner adds midfoot support while the EVA midsole softens your landings. The durable outsole has the grip for quick cuts and multidirectional moves.